The Posse, Rodeo City Rollergirls A-team take on the ladies from Spokane, the Lilac City All-Stars! Make a night of it! 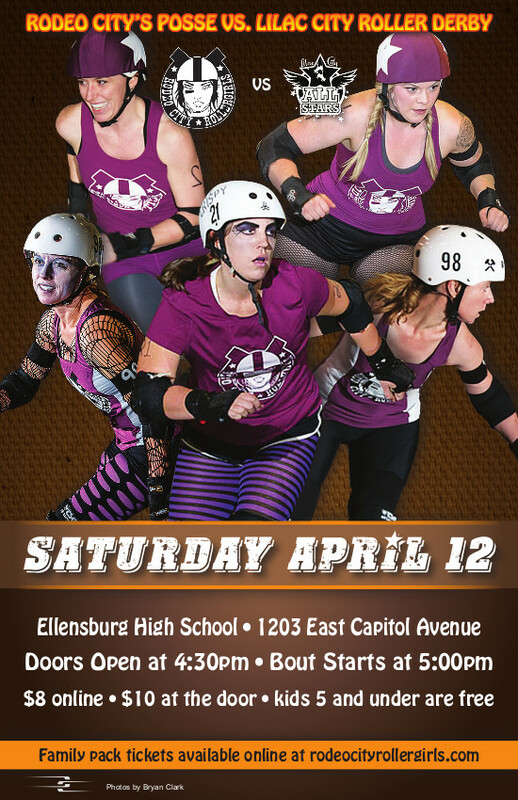 Instead of dinner and a movie how about some derby and then dinner? 🙂 Great for family night too! We now have family pack deals, follow the tickets link below to find out more. We hope you can make it!